howroom Klean, LLC. 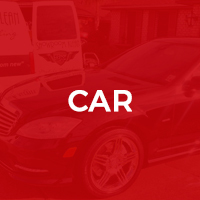 – a mobile detailing company that specializes in maintaining your vehicle’s new car feel. With our quality service your vehicle will look as if it just arrived off the showroom floor. It is our goal to ensure customer satisfaction from the initial conversation to the finished product, therefore we pride ourselves on our professionalism and workmanship. Showroom Klean is fully licensed and insured with over 10 years’ experience. Locally owned and operated our trucks are fully equipped with our own water and electricity. We will come to service you wherever you are; work, home or leisure. There is no job too small or large for us to handle! We stand behind our work and only use the best products on the market. Our aim is to exceed your expectations. 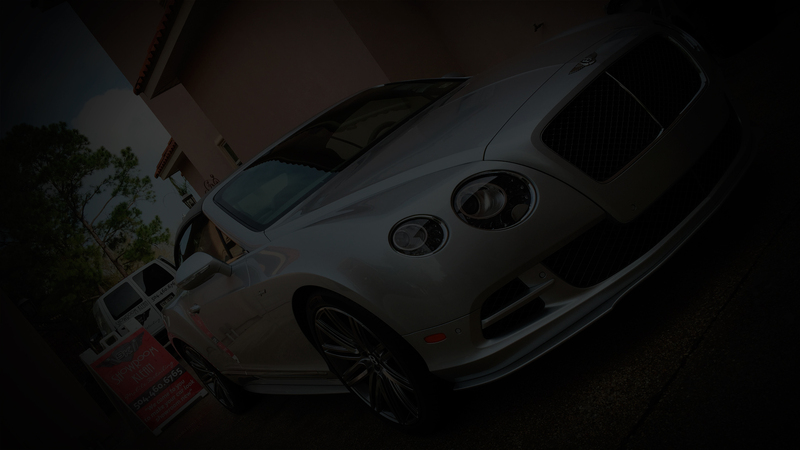 Exterior Detail – This service provides a full exterior cleaning of your vehicle. Recommended intermittently between Regular details when vehicle has become unexpectedly dirty or when you need a quick detail for your vehicle’s exterior. Complete Interior Detail – Over time, dust, dirt, exhaust fumes, and odors are absorbed in your vehicle’s interior surfaces. Visible soiling and discoloration accumulates on fabric, vinyl and leather surfaces. Eventually that new car look and smell is gone. 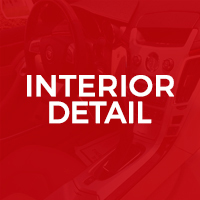 To preserve and protect your vehicle’s interior from premature wear and tear, proper interior maintenance is required. 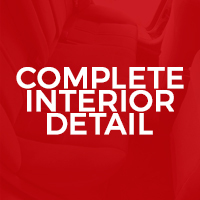 The interior of the vehicle will get our Complete Interior service. This service is recommended once per year. Pet Hair Removal – If you have a pet, specifically one that enjoys car rides, pet hair will inevitably end up in your vehicle’s carpeting. The fine pet hair gets deeply embedded into your carpet as well as your upholstery. We carefully remove and extract the hair from your interior and deodorize the fabric to remove all odors. 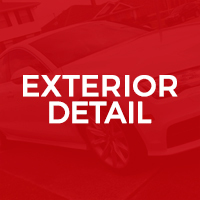 Spray Wax/Polish – This is a service that can be added on following any exterior detail. A spray wax and or polish provides a gloss enhancer that gives your vehicle a more luxurious shine. It is recommended to have one of these applied in between your routine wax services. 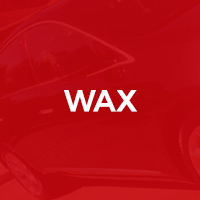 Wax – This service provides both protection and shine to vehicle. It serves as a barrier that protects your vehicle from the elements as well as everyday road containments that may affect your vehicle. In addition to the protection, the wax provides a strong and long lasting shine that enhances your vehicles appearance. This service is recommended every 3 months. 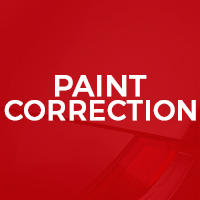 Paint Correction – This service is recommended for vehicles that are getting ready to be sold or have been severely neglected. This service is used to revitalize and rejuvenate your paints finish. We start this process by hand washing your vehicle to remove loose dirt and grime off your vehicles paint. Following this our four step correction begins with a clay bar treatment to remove containments that have been stuck to your vehicles clear coat. Then your vehicle is compounded & polished to remove scratches and swirl marks. Finally a coat of wax is applied to seal and protect your vehicle’s paint. Paint Sealants – A paint sealant serves as an extra barrier on top of your clear coat. This barrier then becomes the layer that receives all of the containments without having any effect on your clear coat and ultimately keeps your paint untouched or affected. From an appearance perspective, the sealant locks in the appearance of the paint at the time it is applied. From there, the same look will remain for the life of the sealant. This prevents any “dulling” effect that occurs over time. From a maintenance perspective, your vehicle becomes easier to wash due to the fact that all containments are purely on the surface of the barrier created by the sealant. Also there is no need to wax your vehicle every few months because most sealants provide protection for at least 1 year. 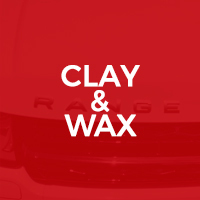 Clay Bar Treatment – This service was designed for vehicles that have pollution embedded in the paint. Everyday environmental fall outs stick to your paint building up over time. The normal washing process will not remove these contaminants. The best way to remove these contaminants would be to use an auto detailing clay bar. We would follow the clay bar process with a coat of wax that helps seal and protect your newly cleaned paint. This service is recommended once every 6 months or yearly. 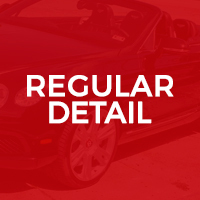 Convertible Fabric/Vinyl Restoration – Over time the condition of your convertible top begins to look faded. This is due to constant exposure to the environment and UV rays. We offer restoration services that help restore the appearance of your top. The process begins with a cleaning the top to lift soils and stains. The cleaner also helps repel future stains and the growth of mildew. Next a protectant is applied to protect your top from UV rays, tree sap, pollen, bird droppings and other environment containments. In addition to protecting the convertible top, the protectant also locks in the fresh look achieved from the cleaning process. 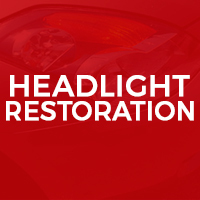 Headlight Restoration – Headlights are supposed to shine bright so you can have a clear view of the road at night. Over time the outer plastic of the headlight lenses begin to fade and turn yellow. This is due to UV rays and other environment containments that bind to the plastic. When this happens; the visibility and brightness of the light is diminished causing very dim lights that are incapable of brightening the road. We restore those lights for you and back our work with a 1 year guarantee. Engine Cleaning – The engine compartment of a vehicle is one of the most neglected sections when it comes to detailing. One of the main reasons for that is it’s hidden from plain sight. Another large factor is that it is difficult to understand how to safely clean the engine of a vehicle. However, the engine area is one of the most scrutinized sections when someone is buying a vehicle. If you’re selling a vehicle or just would like to keep your engine spotless for presentation an engine detail will deliver a great impression. It gives a feeling that the engine was cared for and well maintained. 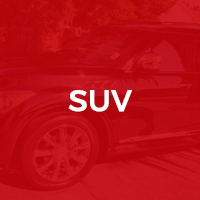 Pre-wash with removal of bug and tar debris; Exterior hand wash; Cleaning of rims, tires and undercarriage; Spot free rinse and dry; Streak free window cleaning; Dressing of tires and rubber/plastic trim. Vacuuming of floor, mats and seats; Conditioning of leather upholstery; Cleaning and conditioning of dashboards/consoles; Odor eliminating air freshener delivered to seats and carpet. Includes all features of Exterior and Interior Detail. Vacuuming of floor, mats and seats; Pre-spot treatment of carpet and seat upholstery; Shampoo carpet, mats and seats (if applicable); Steam Clean Leather Seats (if applicable); Extract remaining dirt and debris using heated carpet extractor; Conditioning of leather upholstery (if applicable); Cleaning and conditioning of dashboards/consoles and door jams; Odor eliminating air freshener delivered to seats and carpet; Paper mats placed on driver and passenger sides in front of vehicle. An addition of a carnauba based wax, which provides both protection as well as a luxurious shine to any vehicle. Removes paint containments from your vehicle, giving it a smooth and clean feel. Following this service, a coat of wax is applied to further protect your vehicle. Removes oxidation cloudiness from headlights. Service comes with a 1-year guarantee. Removes minor scratches and swirls from paint. Also, helps clean and rejuvenate your paint resulting in a brighter shine. The appearance of your company’s vehicle is one of the first impressions that a customer or a potential customer will see. Presentation is an essential part of your business. 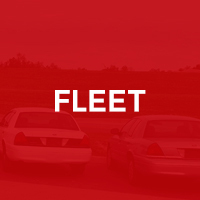 Make sure your vehicles are sending the right message about your company. A clean and well-maintained vehicle gives a professional image and shows pride in your company. In addition, vehicles properly maintained will require less work in regards to paint and upholstery repairs which will ultimately preserve the look of your vehicle and keep down up keep cost.  – Quantity of Vehicles per/mo. Contact us today so we can start building a custom package that fits your company’s needs and budget. Interested in becoming a part of the Showroom Klean Team? Sunday 8 a.m. – 5 p.m.
Have A Question? Ask Anything! 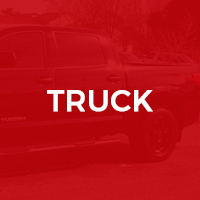 ---8:00 a.m.9:00 a.m.10:00 a.m.11:00 a.m.12:00 p.m.1:00 p.m.2:00 p.m.3:00 p.m.
A mobile detailing company that specializes in maintaining your vehicle’s new car feel. 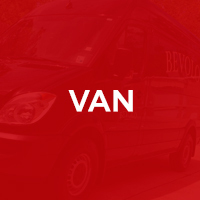 With our quality service, your vehicle will look as if it just arrived off of the showroom floor. We are fully licensed and insured with over 10 years’ experience. Locally owned and operated, our trucks are fully equipped with our own water and electricity. We will come to service you wherever you are; work, home or leisure. It is our goal to ensure customer satisfaction from the initial conversation to the finished product, therefore we pride ourselves on our professionalism and workmanship. We stand behind our work and only use the best products on the market. Our aim is to exceed your expectations.